It is time to redefine your businesses. 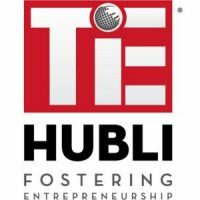 Be a part of this TiE Con Hubli and help shape your destiny where businesses are being redefined. 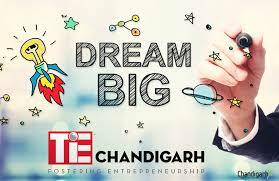 TiECON Chandigarh strives to create an energizing entrepreneurial environment for startup founders to get inspired & take off. It shall bring together diverse, innovative & dynamic ventures to showcase an expert ecosystem & ignite entrepreneurial minds. The event shall have participation of top notch entrepreneurs, mentors, innovators, investors, startups, educationists, journalists, policy makers & more. Dedicated to the virtuous cycle of wealth creation and giving back to the community, TiECON Chandigarh would focus is on generating our next generation of leaders & entrepreneurs. Over 800 participants are expected to attend this two day summit. TiE Tampa Bay is a not-for-profit organization, tax-exempt under Section 501(c) (6), created to foster entrepreneurship through mentoring, networking, and education in Florida. Contributions to TiE Tampa Bay will generally be tax deductible, however we advise contributors to consult a professional tax advisor. TiE Tampa Bay’s Board of Directors is comprised fully of accomplished volunteers with a successful track record in entrepreneurship, and a willingness to help other entrepreneurs. TiECON SE, the marquee program for entrepreneurs in the Southeast, attracts world-class keynote speakers like Intercontinental Exchange’s Jeffrey C. Sprecher, CNN’s Dr. Sanjay Gupta, The Home Depot’s Bernie Marcus, AirWatch’s Alan Dabbiere, Metro Atlanta Chamber of Commerce’s Hala Moddelmog,SPANX’s Laurie Ann Goldman, and Dharmesh Shah. In the past decade, over 5000 entrepreneurs have experienced networking, education, and mentorship. For 20 years, TiE-Boston has fostered entrepreneurship through mentorship, education, networking and funding. There’s no better demonstration of our commitment to this mission than our annual conference, TiE StartupCON.and a willingness to help other entrepreneurs. TiECON Southwest is TiE Southern California’s signature annual entrepreneurship conference bringing together 700+ entrepreneurs, corporate executives, and business professionals for a great combination of substantive conversation, education and peer networking. TiECON Southwest brings together highly successful and aspiring business women and men entrepreneurs as well as investors and mentors from varying industries such as IoT, Finance, Real Estate, Automotive, Entertainment, Healthcare, AR/VR, Media and Information Technology. The agenda features several keynote/plenary discussions and a number of smaller break-out panels, with plenty of time for informal exchange and mentorship. A new tectonic shift in the world has started! The future generation of technologies will power the next wave of economic growth. Time is Now for entrepreneurs to tackle challenges by leveraging new technologies and taking advantage of the greatest business opportunities ever. 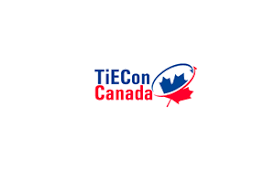 TiECon Canada will provide an opportunity for entrepreneurs to be inspired, learn and connect as we explore new business frontiers. On November, join business leaders from Ottawa and across North America, including inspiring keynotes, investors, and technology experts at the Infinity Conference Centre, a fantastic venue for connecting with fellow entrepreneurs, funding agencies and potential collaborators. 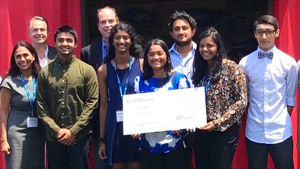 Given the state’s leadership in connected technologies – and the jobs being created as a result – the time is right for TiE Detroit to make Connected World / Connected Technologies the focus for TiECon Detroit, Michigan’s largest entrepreneurial conference. The conference will provide an array of opportunities to exchange ideas, explore new businesses, discuss emerging technologies, share growth strategies, and obtain insight from global business leaders, community leaders and worldwide experts. 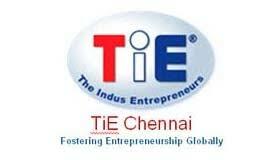 It is that time of the year, we gather to discuss and deliberate on entrepreneurship under the umbrella of TiEcon. The attempt each year has been to focus on showcasing marquee entrepreneurs, provide a platform for the start-ups who are finding their feet and to felicitate the power and promise of entrepreneurship. 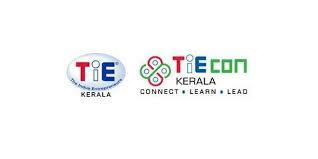 TiEcon Delhi attracted more than 1500 participants last year, and is likely to exceed that number this time, since there is no better opportunity for entrepreneurs to connect with potential mentors, investors and collaborators. Catch the makers and leaders of the India growth story.